I love, love, love this book. Mrs. Brenneman says exactly everything that I would say, if I had time to write it down in a book. When I first saw this released by Vision Forum, I was intrigued. I always enjoying reading books about home making and organization and making it all work together... especially if it should happen to come from a Godly perspective by a home schooling mother. And if there should happen to be something new that will help me improve in my chosen career along the way-all the better yet! So when I first saw it in the Vision Forum catalog I really wanted to order it. Except that the last few books I've read were all the same old, same old. And the very last one that came highly recommended (Managers of Their Homes by the Maxwells) cost a lot of money and I thought was a complete waste of time and quite frankly a bore to read! I put off buying Large Family Logistics because I just couldn't justify it, especially because I had just managed to sell the previously mentioned book on eBay to recoup my loss. As I read, I kept nudging my poor hubby, who was trying to sleep, and reading little excerpts aloud. He would say, "Hmmm, that sounds like someone I know." Did I learn anything new? Not really. Why then would I buy a copy to add to my home library, you might ask? For one thing, Kim reminded me of several things I used to do and had let slide. For example, back in the early days of our marriage I always had two days a month when I paid the bills, filed the paperwork, tided our office area and took care of thank you notes and all things paper. A few years ago, when I was nursing Aedan and bottle feeding Nathaniel and potty training Emma and home schooling the big girls and taking my own class, Allen took over the bill paying as a way of lightening my load a little. Which was great. However, in the process, my office day just disappeared. Even though, there aren't bills to tend there is still much paper work always piling up on my desk waiting to be tended. I have re-instituted office day, and I am glad for it. I also loved the little mottoes Kim mentions throughout the book. They aren't really earth shattering just fun ways to say what I think. For example to the mom who won't use paper plates because they cost too much she says, "Paper plates are cheaper than hired help." Another feature I loved was the appendix in the back of the book. So often, almost several times a month, a mom will call, knock on my door, email or pull me aside and say something to the extent of, "My life is a disaster, disorganized and falling apart. We can't even make it from day to day. Please tell me where to start!" I make a few suggestions and pray with them and try to check in now and again to see how things are going. But the truth is, no matter how well my system works for me, if a mom can't even get to getting dressed and reading her Bible in the morning, everything else is going to seem overwhelming. And no matter how great this book is, if you can't find the time to read it and put it into action, it won't help you either. But Mrs. Brenneman thought of that. In the appendix she says quite simply, if your laundry is flowing into the back yard and there are so many dirty dishes you can't get to the sink to wash them, start here. She simplifies the most basic things to begin with so that the drowning home maker can get her house under submission once again, beginning with the bedtime routine. For those who are ready to move on she addresses all areas of the stay at home mom's life including dress, beauty care, exercise, home school, your spiritual walk and much more even including things like tea time, reading with the children, date night, errand day and just about anything you can think of. My only complaint with this book is the title. 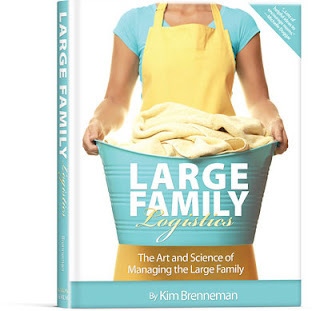 I think the author has done herself a grave injustice by calling it Large Family Logistics. The truth is, the skills she helps you develop will be useful to the new bride, the mother of one or the mom of ten as well as the empty nester and the grandmother looking for more time to spend with her grand kids. I think the best name would be Family Logistics. Probably, the biggest reason I picked up a copy was that I intend to use it as a text book for my girls. Saying that gives me a good opportunity to mention the format of this book. The picture does not do it justice. It is indeed a large book, about the height and width of a textbook. It makes it quite nice to read. I will also be adding a copy to each of my daughters' hope chests. In the past my favorite home making book has been "Home Comforts" by Cherly Mendelson. Since I read it more than 10 years ago, it has been included as part of my gift for every new bride. And it is still an excellent comprehensive book on the art of home making. However, Large Family Logistics is a better book for the beginner who just needs to get going. This will now be included with my gift to new brides and I will direct those struggling moms to go out and order their own copy and start at the appendix. So if you want to know how I do it, read Kim's book. You won't be disappointed. Kim is an amazing person, need I say more? I have know her most of my life, I feel so blessed ;). Her book is very neat, I've only read some, but I hope to read more, even if I'm not married yet :). Wow! I'm really curious about this book now!!!! I'm going to see if I can find it on Ebay!! OH! And I love your new layout!!! I would love to get this book. You're the second blog friend I've read that likes it. I tried to win it on a giveaway and didn't win. :( Hey, my birthday is coming up this month. Hmm...time to start making a wish list I think. ;) Where can I conveniently leave it lying around? I have this book, I just need to read it! :) It was a Christmas gift and I am excited about reading and learning from it. This is a reminder to me to get it out and start reading. I just happened upon this old post... I love this book too! I got it from the library last year but I think I will purchase it. 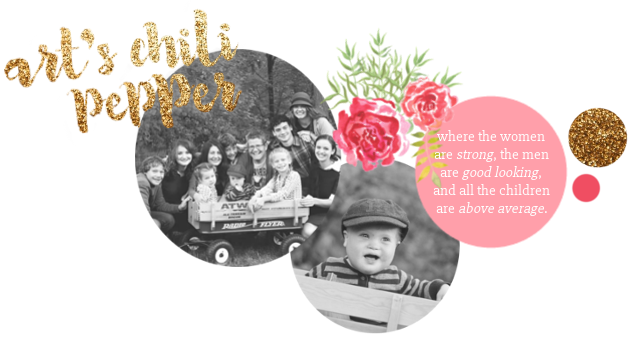 I used to follow Kim's blog way back when (long before I even met my husband!) so I was so happy to see she finally got her book published. How Can He NOT Get It?